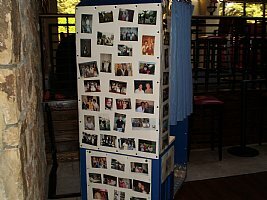 A decorative photo booth with up to 60 pictures placed around the exterior to provide a collage of the guest/guests of honor. Photo strips printed out in either black & white or color. 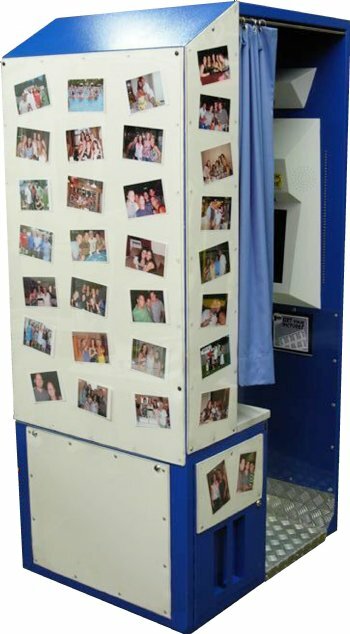 Each guest or guests can make their own choice and the photo booth can be programmed to have only one choice. Two photo strips printed for each transaction. Customizable photo strips with the guest or guests of honor's name, date & other designs placed on the bottom of the strip. CD service where the guest or guests of honor receive a CD with all of the photos taken during the event. Clients receive the CD within 10 days after the photo booth rental. 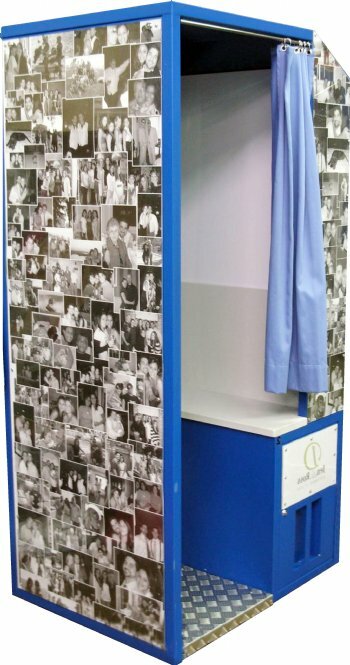 Unlimited photo strips throughout the course of the photo booth rental. An attendant present throughout the entire event. Male attendants are either dressed in a tuxedo or a suit and female attendants are in gowns or slacks with button down shirts. Other features available for this photo booth rental are photo strip holders, red carpet with red velvet ropes connected to brass stanchions as well as props. 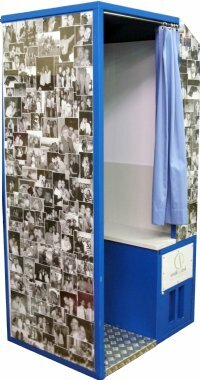 The photo booth with picture has become one of our more popular choices in the photo booth rental category since it was introduced. One of our event specialists came up with the idea over lunch and she came running out of the conference room yelling it to everyone in site. We offered it to our next wedding photo booth rental client and it quickly became a feature that has become embraced for weddings and sweet 16 events. Clients provide up to sixty pictures to us well in advance of their wedding or sweet 16 event date. 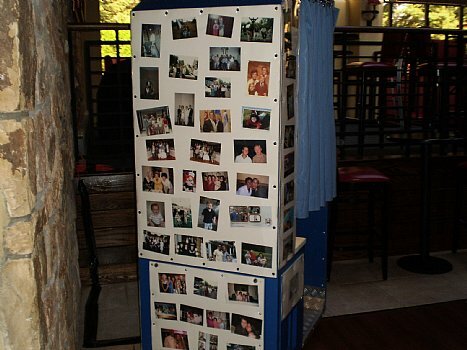 We arrange the pictures around three sides of the photo booth, the front and the ends. Thus, while guests are in line they see a collage of for instance the bride & groom's lives or in the case of a sweet 16 the history of the sweet 16 guest of honor to date. Wedding photo booth rental clients are continually getting more creative with this feature. A recent bride and groom who had their wedding at the Roosevelt Hotel in New York City provided ticket stubs, train tickets and other trinkets to decorate around the photo booth. Another bride who had her wedding at The Venetian took the picture feature service to another level and decorated the exterior herself. We provided her with the exact dimensions of each panel of the photo booth and the week of the wedding she brought in the panels. We then placed them around the booth for her wedding. One of the more unique wedding photo booths with picture that we did was at Stirling Ridge in Warren NJ. This was a fun couple who also created photo strips as their centerpieces. 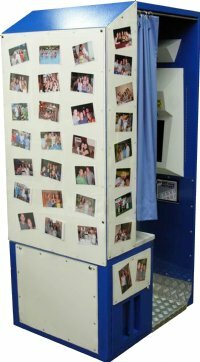 All of the pictures that are provided to us are returned in their original format and are sent out with the CD that wedding and sweet 16 clients choose with this photo booth rental. Wedding clients Rick & Lisa Vermeulen who had their wedding reception at Stirling Ridge in Warren, New Jersey in August of 2009 had the following comments about their experience. 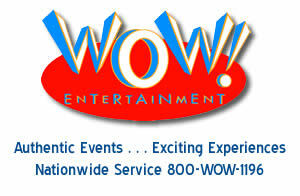 "We had an awesome experience with WOW Entertainment. Joe was a great guy to work with and made everything we needed easy and accessible. All of our guests had a great time with the photo booth and are still talking about it to this day. The photos taken in the photo booth made for a great scrap book with everyone signing the book and posting pictures."